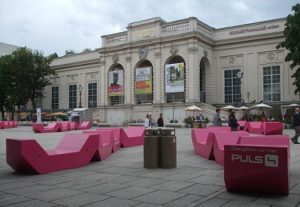 The MuseumsQuartier Wien are the former Imperial Stalls which were converted into a museum complex. It opened in 2001 and is one of the ten largest cultural complexes in the world (60.000 m2). 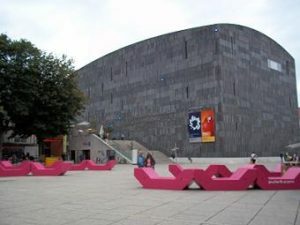 The MuseumsQuartier is home to numerous cultural facilities and includes three musea. 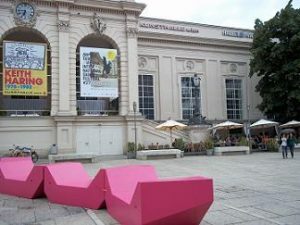 The MuseumsQuartier is located in downtown Vienna opposite Maria Theresienplatz and two large museums: the Kunsthistorisches Museum (Museum of Fine Arts) and the Naturhistorisches Museum Wien (Museum of Natural History). The museum square has it’s own metro station (U2/U3). To the Imperial Hofburg Palace is a 5 minutes walk. 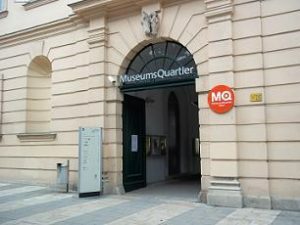 – Admission to the Quartier21 and inneryard is free.